It's Wendi here and I'm sharing a gymnastics page with you of my lil one. We got to a mom and me gymnastics class, and she totally looks forward to her "gym" time each week. One thing she loves to work on is the bars. It's fun to watch how long she can hold on for, and her strength grow. 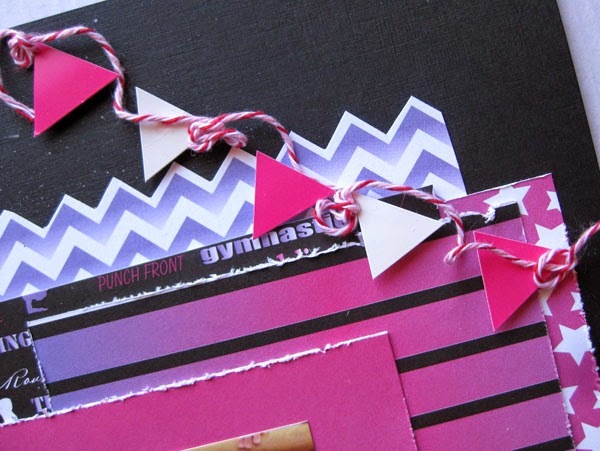 I used the Gymnastics line for this layout and loved the bright color palette. Hello Moxxie fans! 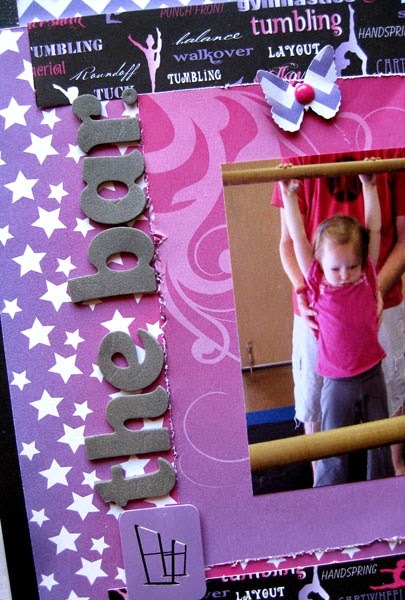 I want to share with you today a layout I did of my oldest daughter using Moxxie's Gymnastics line. This line was perfect for my pictures! I loved it! It was so easy to work with. I started out with one of their fantastic 12x12 sheets that already had the word Gymnastics running along the bottom and went from there. I did do a bit of fussy cutting around some of the images so I could tuck my pictures in behind them and some more fussy cutting along the swirlies on the top pink paper. Then layered my pictures on some more paper from the same line. Vellum for my journaling and the stickers provided me with a great title- Tumbling. Besides the vellum the only other thing that wasn't included in this line were the sequins that I added for a little extra "bling" on my page. Hi! 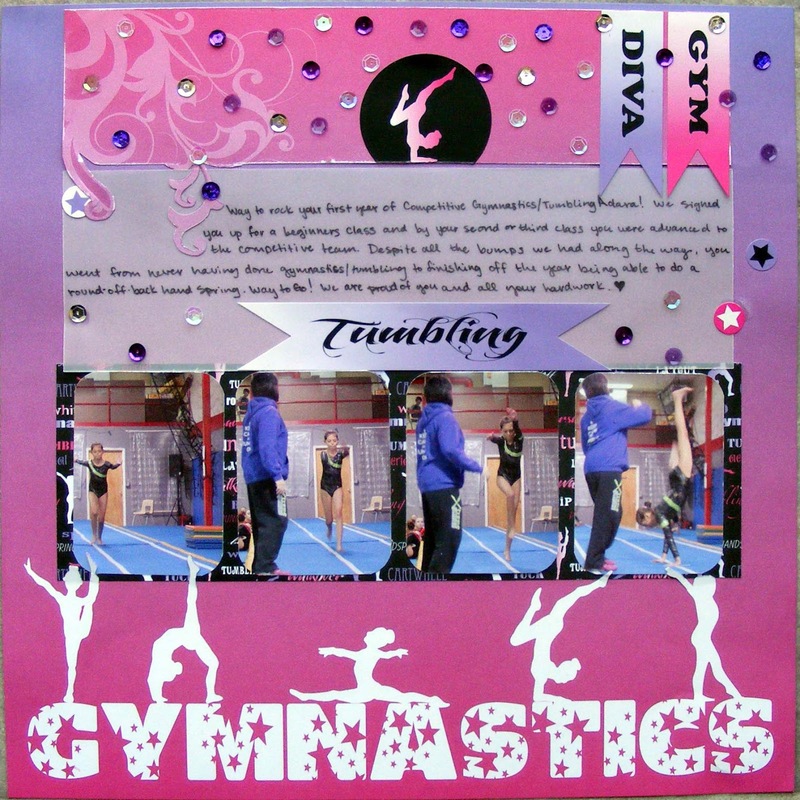 Ange here today to show you a fun layout using a sketch and the brand new Gymnastics line! I stuck really close to the design of the sketch because I just loved it and thought all of the arrows, along with the chevron print, would be great with my action photos. This line worked perfectly with these photos of my daughters trying to sync their toe touches on the trampoline. It's so fun to watch them giggle and goof! 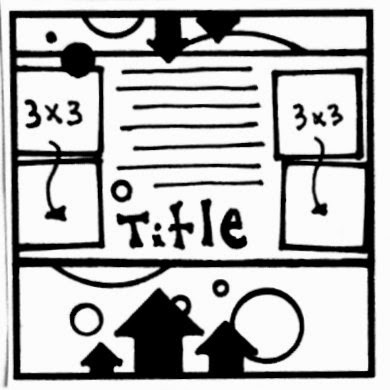 I ended up using the B-sides of every paper on this layout. I love that the backs are so versatile. Here I wanted to use this pretty banner with the girl leaping, but thought it would look perfect with another banner above it. So I grabbed the banner that said Gym and just added my own little alphas over the word. I love that you can make it whatever you want. I did a similar thing with my title and just made up my own word. I think we should add Jumpnastics to the dictionary! lol My favorite thing about this line is how stunning the papers are. 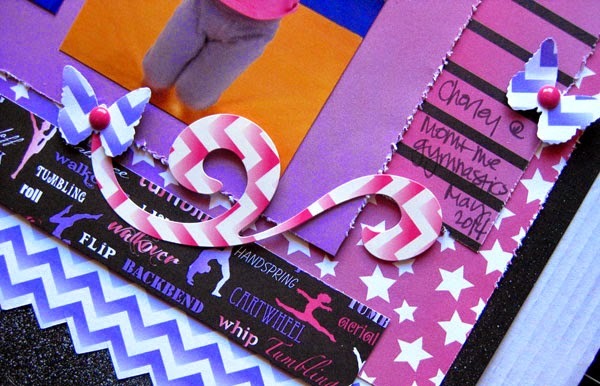 Don't forget to ask for this Gymnastics line at your local scrap store and then post your creations on our facebook page for us all to ooh and ahh over! Happy Valentine's Day Moxxie fans! Dana here today sharing some upcycled candy boxes. 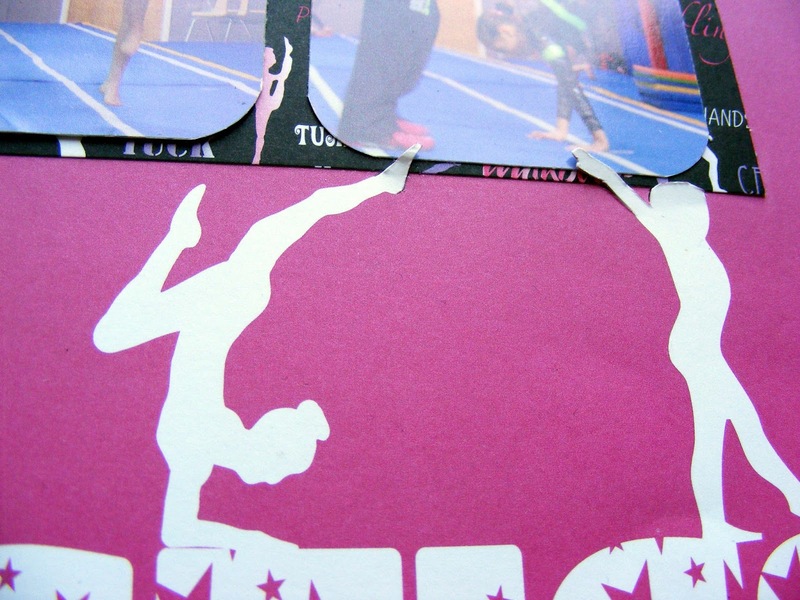 I started with two empty embellishment boxes and I covered them with patterned papers from the NEW Gymnastics collection. The beautiful shades of purple and pink were perfect for Valentine's Day! I embellished this paper covered box with patterned paper and a rub-on from the XOXO collection. I embellished this paper covered box with cardstock stickers from the XOXO collection.